I recently was able to enjoy a bunch of goodies from Albanese Candy in a gift basket I had won as a prize. There was bridge mix, chocolate covered peanuts, gummy bears and more. 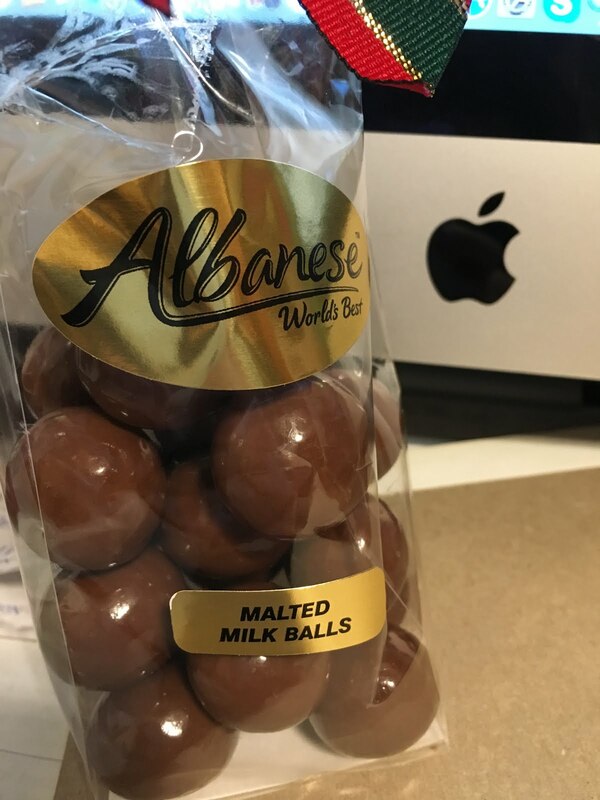 I've tried a lot of items from Albanese, but never the malted milk balls. And now that I have, I want more. I ate that little bag almost all by myself over a couple days and I was very reluctant to share with the kids. I was in a candy store recently and grabbed some malted milk balls but they didn't come close to these. So, now I'm looking at my calendar and trying to figure out when I can squeeze in a visit to their store because I just keep craving them. looks yummy! Where can I get these? ?